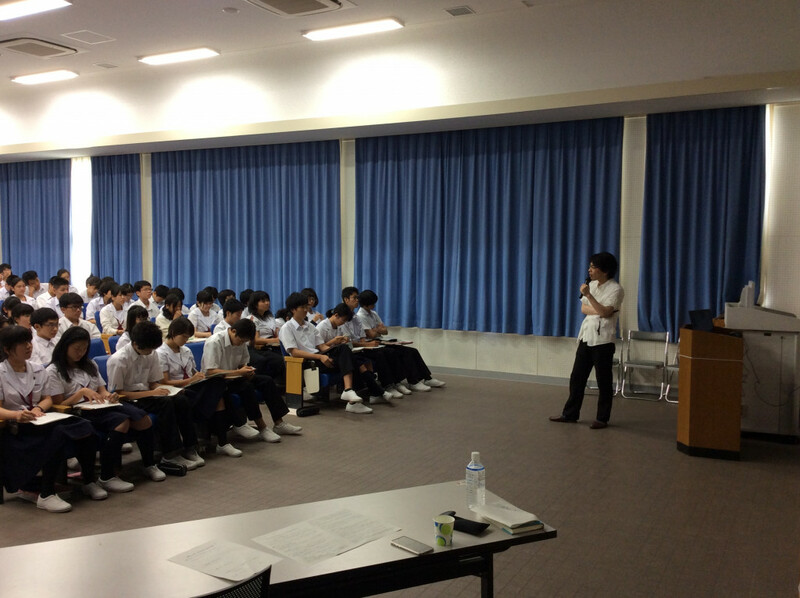 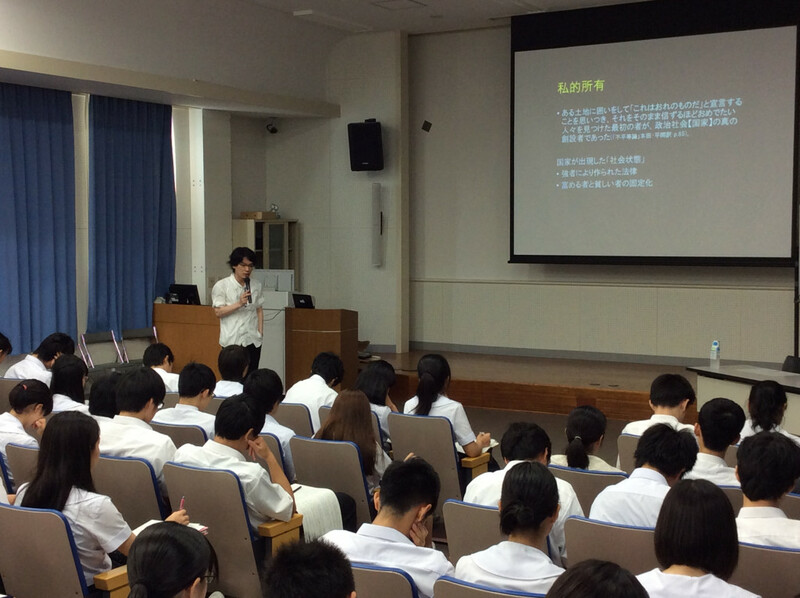 Several university professors were invited to the school and gave lectures to the first year students. 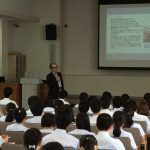 On July 12th (Tues) Professor Satoshi Fujii from the Kyoto University Graduate School of Engineering gave a lecture on “Disaster Prevention and Mitigation in Japan and Asia”. 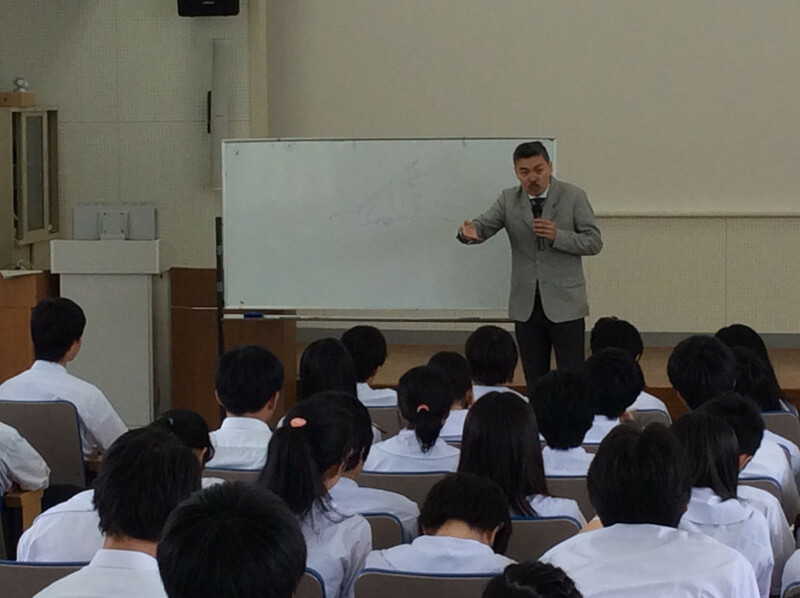 During the lecture, the professor spoke about the importance of risk management and imagination to the students and also shared his actual experiences with risk management during the flooding in Thailand. 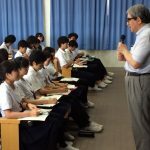 His lecture generated a great amount of interest and appreciation among the students as well as many questions concerning the subject matter. 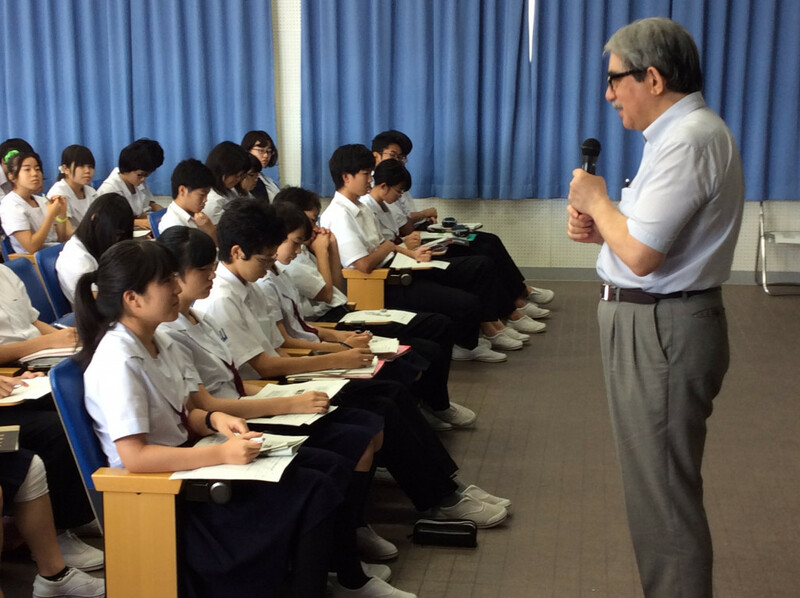 The level of awareness among the students was raised through this lecture while providing a number of reference points for their research. 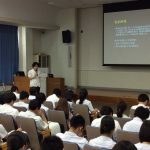 On July 13th (Wed) Professor Yasuhide Nakamura from the Osaka University Graduate School of Human Sciences came and gave a lecture with the theme: “Global Health Topics ~From the Viewpoint of International Health Cooperation~”. 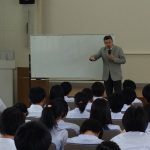 In his lecture the professor spoke to the students about “The spirit of autonomy and independence in communities” and asked “What is true international cooperation?” in light of the various health and medical issues in third world countries as well as his experience in spreading mother-child handbooks in Indonesia. 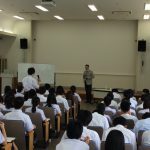 There was also an interesting speech from a Madagascan exchange student concerning “The Current Condition of Education in Madagascar”. 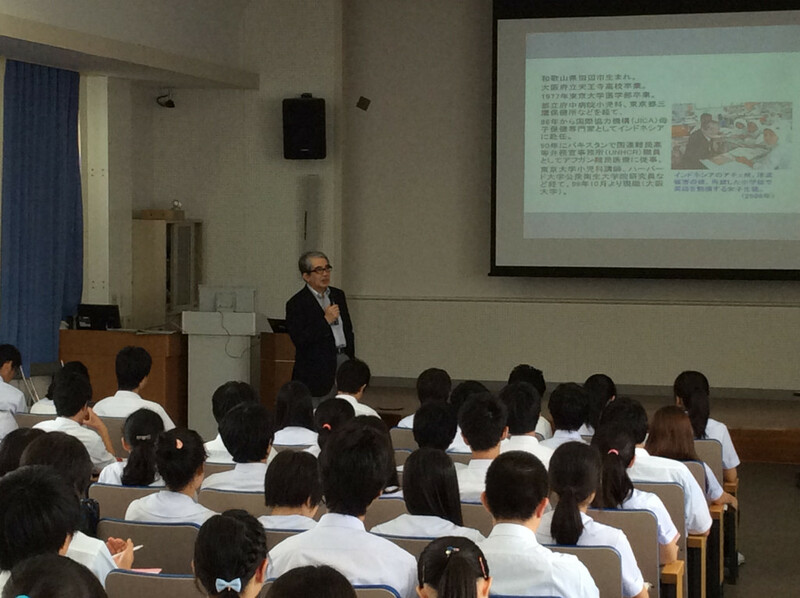 On July 15th (Fri) Professor Masato Shikata from the Kwansei Gakuin University School of Policy Studies gave a lecture based on the theme: “Is the Expansion of the Income Gap a Problem?” The professor posed a number of questions to the students, and then traced the historical roots of disparity and poverty before speaking specifically about various events and examples that can be found in modern day society. 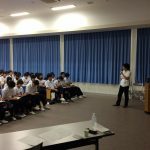 Topics such as disparity in Japan versus disparity in the world and how the income gap in Japan is expanding and why it is a problem were also brought up. 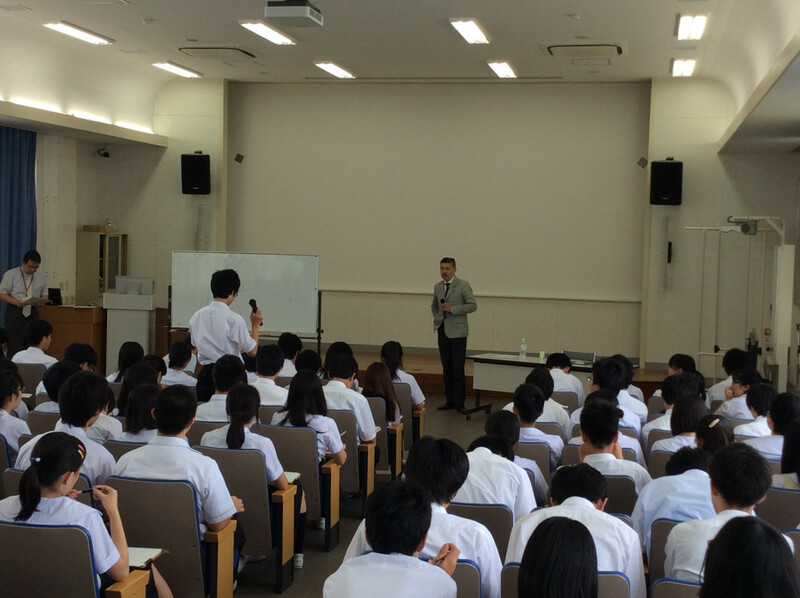 The professor also held a Q&A session in which many of the questions which he had brought up during his lecture were discussed.